The vortex shedding induced lift forces can lead to prohibitively large across wind motions and their mitigation becomes a principal design concern . The following are some of the suggested methods to reduce the dynamic response created by vortex shedding-induced forces. By increasing the building dimension, thereby reducing the aspect ratio of the two sides, it is possible to reduce the vortex induced responses. Aerodynamic Modification: The organized shedding vortices can be reduced by changing building’s cross-sectional shape. Some of these treatments are chamfered corners , building openings [4, 5], tapering, and drop of corners . By using these techniques, considerable reductions of dynamic loads are reported. The tallest building, Burj khalifa utilized this aerodynamic treatment to reduce dynamic wind response effectively . Building Properties: The resonant structural responses of buildings are directly related to building mass, frequency and damping. The damping directly from the building has a limited variability according the type of building (ie. prestressed concrete or steel) and is difficult to predict. However, the building mass and stiffness can be varied to reduce the dynamic response due to vortex shedding. If the building frequency is kept constant and the mass increased, then the predicted building accelerations can be reduced. Similarly, higher frequency also leads to a reduction in the predicted acceleration, as well as predicted dynamic loads. Misalignment of Excitation and Response Directions: This is based on the idea that vortex shedding induced forces are important only for the wind directions which are approximately normal to the face of a building. Thus, organising the structural system so that its principal axes of stiffness are along the building diagonal is suggested. This leads the generalized forces for these diagonal modes of vibration to become a mixture of drag and lift forces that are more random or broad band in comparison with pure vortex shedding lift forces that results in a narrow band. This arrangement reported by Isyumov  resulted in a substantial reduction in the dynamic responses. Dampers: Recently, using auxiliary dampers to reduce the dynamic responses is becoming more acceptable. Tuned mass, viscous and tuned liquid dampers are commonly used types. The type of damper depends on the available space, budget and level of dynamical reduction desired. Tuned liquid sloshing dampers are becoming more popular due it their ability to be incorporated into the building water reserve. The tuned liquid damper devices achieve a reduction of the dynamic responses by sloshing in water tanks and dissipate energy. 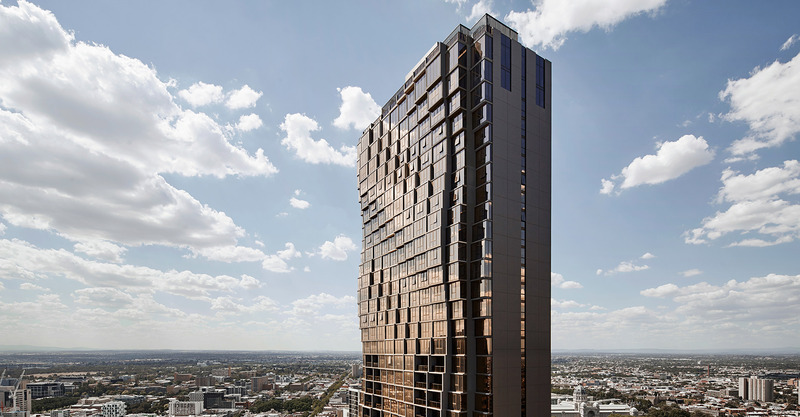 Wind tunnel test for 220m residential building resulted with top floor acceleration above the recommended criteria. This high acceleration can be reduced using liquid dampers. Wind tunnel study for structural loads and human comfort study has been in use for decades. The cost of building construction can be reduced substantially by predicting the wind load tailored to the individual building rather than using a general guideline, which leads to conservative load estimations and higher cost or increased risk. The disasters caused by strong winds are minimised due to an increased understanding of wind characteristics, modelling techniques, dedicated wind tunnel studies and the years of experience gained in the field. Advances in the measurement techniques and analysis in wind tunnel testing, as well as in building materials, has opened a door to the construction of taller and more complex buildings and reduce building motion. To cope with the demand of the present day super high-rise towers in terms of vertical transportation, motion control and sustainable design, researchers and practitioners contribute to the advancement of the knowledge in building construction. 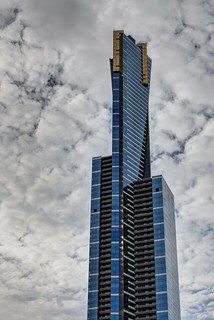 The wind tunnel usage, computational fluid dynamics and the related analysis methods are also expected to continue growing to fulfil the future demand. .
 Dutton, R. J., and Isyumov, N., “Reduction of Tall Building Motion by Aerodynamic Treatments”, J. Wind Eng. Ind. Aerodyn. 36(1990) 739-747.